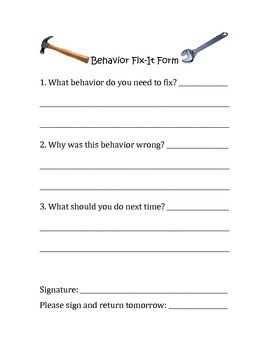 Students can fill out this form as a way to manage their behavior and change the way they behave in the future. You can copy the form for the students file and send a copy home with the student. Thanks for checking out this resource. Please rate or leave a comment! Thank you!